Math Methodology Instruction Resources includes four sections with resources specific to the Common Core, for all learners, for special needs learners, and for the instructional environment and improving behaviors. When it comes to student achievement, teachers matter. Your role is to positively affect achievement in all you do. If you become a teacher, you'll soon learn, however, that there are multiple sources of variance in predicting achievement. Per Hattie (2003), "It is what students bring to the table that predicts achievement more than any other variable," accounting for about 50% of that variance (p. 1). This is followed by the influence of teachers, who account for about 30% of that variance. "It is what teachers know, do, and care about which is very powerful in this learning equation" (p. 2). The home, schools (including their principals), and peer effects account for the remaining major sources of variance, about 5-10% each. But, it is excellence in teachers, not just teachers, that makes a difference (Hattie, 2003). What do you know about your subject? How do you manage your own professional growth? How do you share what you already know with your students? How do you teach students to learn what you don't know? How do you teach students to solve problems? How do you teach students to become problem designers? How do you assess student work that is handed in to you? What are your expectations for students to self-assess their work and publish it for a wider audience? What is your contribution to our faculty? What is your global relationship? How do you make sure students are on task? How do you give students the opportunity to contribute purposeful work to others? But, what is teaching? Various definitions of teaching over time have been proposed and certainly a working definition of the term is needed, if one is to discuss all the challenges involved in teaching. According to Hiebert and Grouws (2007), "Teaching consists of classroom interactions among teachers and students around content directed toward facilitating students’ achievement of learning goals" (p. 372). Further, this definition notes a two-way process and makes teaching "largely under the control of the teacher" (p. 377). The fundamental requirements for proficient teaching are relatively clear: a broad grounding in the liberal arts and sciences; knowledge of the subjects to be taught, of the skills to be developed, and of the curricular arrangements and materials that organize and embody that content; knowledge of general and subject-specific methods for teaching and for evaluating student learning; knowledge of students and human development; skills in effectively teaching students from racially, ethnically, and socioeconomically diverse backgrounds; and the skills, capacities and dispositions to employ such knowledge wisely in the interest of students" (NBPTS, 2002, p. 2, What Teachers Should Know section, para. 2). This enumeration suggests the broad base for expertise in teaching but conceals the complexities, uncertainties and dilemmas of the work. The formal knowledge teachers rely on accumulates steadily, yet provides insufficient guidance in many situations. Teaching ultimately requires judgment, improvisation, and conversation about means and ends. Human qualities, expert knowledge and skill, and professional commitment together compose excellence in this craft. (NBPTS, 2002, p. 2, What Teachers Should Know section, para. 3). In Bob Sullo's view (2009) teaching over the past quarter-century has become more professional due to the emergence of a number of "best practices" that have significantly affected curriculum and instruction. "A sampling of innovations includes differentiated instruction, Understanding by Design, the emergence of state standards, the development of curriculum frameworks, scope-and-sequence charts that inform teachers of what to teach and when to teach it, the expanded use of technology in education, active literacy, curriculum mapping, and the proliferation of professional learning communities. Formative assessment informs instruction like never before" (Introduction section). What is striking is that CT4ME includes discussion of many of those innovations throughout this site. The road to incorporating those best practices in teaching is filled with challenges, as learning to teach is a complex never-ending process. One might organize that process into four major domains: planning and preparation, the classroom environment, instruction, and professional responsibilities (Danielson, 2007). Danielson's work on Enhancing Professional Practice: A Framework for Teaching is grounded in constructivist theory. Regardless of level of experience, teachers always are challenged with how to motivate learners, particularly when you consider the extent of diversity encountered in many schools in the United States. Such diversity involves "not only ways of being but ways of knowing" and "knowing how to relate to those qualities and conditions that are different from our own and outside the groups to which we belong, yet are present in other individuals and groups" (Queensborough Community College (NY), Definition for Diversity: http://www.qcc.cuny.edu/diversity/definition.html). Queensborough Community College also noted that learners and teachers themselves bring to the learning environment a host of variables, such as beliefs, attitudes, perceptions, self-efficacy, motivation, learning styles, habits of mind, cultural influences and demographics (e.g., male/female, sexual orientation, ethnicity, ability/disability, socio-economic status, religion/spirituality, etc.). It is certainly helpful for teachers to be aware of their personal biases, beliefs, and attitudes, as those influence interactions with learners. However, it is also important to note Hiebert and Grouws (2007) who stated, "Characteristics of teachers surely can influence their teaching, but these characteristics do not determine their teaching. Teachers with different characteristics can teach in essentially the same way and vice versa" (p. 377). Applying deliberate assessment and feedback strategies (p. 7). The Big Four is just the tip of the iceberg. Teachers also accept responsibility for student success, develop communities of respect, and help students become partners in their own success. They take on three instructional roles: direct instructor, facilitator, and coach (Tomlinson & McTighe, 2006). Their professional responsibilities include reflecting on their own teaching, maintaining accurate records, communicating with families, participating in professional communities, growing professionally in content and pedagogical skills, and showing professionalism with their own integrity and ethical conduct (Danielson, 2007, ch. 1). The fundamental challenges of the teaching profession are also well-articulated in Connecticut's 2010 Common Core of Teaching, which includes "six domains and 46 indicators that identify the foundational skills and competencies that pertain to all teachers, regardless of the subject matter, field or age group they teach" (p. 2). They are useful for teacher preparation programs, beginning teachers, and experienced teachers. For example, among professional responsibilities, the Connecticut Department of Education (2010) indicated "Continually engaging in reflection, self-evaluation and professional development to enhance their understandings of content, pedagogical skills, resources and the impact of their actions on student learning" (p. 10). Collaboration and proactive communication with colleagues, administrators, students, and families are featured elements, as are understanding the legal rights of individuals with disabilities, and the role that race, gender, and culture might have on professional interactions with students, families, and colleagues, and ethical uses of technology. Thus, teachers are challenged to know and communicate subject matter; to design curriculum, instruction, and assessments; to be knowledgeable about diverse student populations, to be knowledgeable about effective uses of data (e.g., see How Teachers Can Turn Data into Action by Daniel Venables) and technology, to conduct action research to improve their practice, to implement existing research, and to be learner-centered in their approach. On top of all this is the need to continually grow in the profession, maintain sanity, minimize stress, learn from mistakes, and let us not forget--prepare students for standardized testing. With all this in mind, Carole Frederick Steele (2009) would add that teachers need to be adept at improvising, interpreting events in progress, testing hypotheses, demonstrating respect, showing passion for teaching and learning, and helping students understand complexity. Fortunately, she reminded us that "No teacher is likely to excel at every aspect of teaching....What experts attend to and ignore is markedly different from what beginners notice. The growth continuum ranges from initial ignorance (unaware) to comprehension (aware) to competent application (capable) to great expertise (inspired)," paralleling Bloom's taxonomy. "Lack of awareness occurs before Bloom's categories. The awareness stage is a fair match for Bloom's stage of knowledge and understanding. Teachers at the capable stage use application and analysis well. Educators who reach the inspired stage have become skilled at synthesis and evaluation in regard to their thinking about teaching and learning" (Introduction section). W. James Popham (2009) summed up the nature of teaching in the 21st century. He stated, "once we strip away its external complexities, teaching boils down to teachers' deciding what they want their students to learn, planning how to promote that learning, implementing those plans, and then determining if the plans worked" (Preface section, para. 7). So where does one begin? Resources on the current page will assist you with your knowledge of students and instructional practices. CT4ME's section on Professional Development includes a variety of resources to assist you with becoming more knowledgeable about the mathematics content you teach and how to enhance your teaching skills. Our section on Standardized Test Preparation provides solid advice and resources. Technology Integration will assist you with strategies for incorporating technology into your instruction, including designing your classroom web site, and incorporating multimedia into math projects. You can learn more about scientifically based research and action research at our Education Research section. What are the Dimensions of Learning? What are "Habits of Mind"? Visit the Habits of Mind Blog from the Education Development Center's Mathematical Practice Institute (MPI). This blog began January 2014 and is intended to explore mathematical habits of mind or ways of thinking about mathematics in K-16. Such habits are "also recognizable today in the Standards for Mathematical Practice." The goal is to provide a vehicle for exploring ideas "to bring serious mathematics to all learners" (Welcome post, January 15, 2014). The MPI developed a five-part webinar series for Exploring the Standards for Mathematical Practice, which is designed for middle and high school educators. The series provides useful tips to "help you engage all students in enjoyable, challenging learning that enables them to "puzzle through problems" and excel." What Mindsets Drive Teacher Effectiveness? Art Costa, Robert Garmston, and Diane Zimmerman (2012) defined five states of mind that "create a growth mindset that is a potent force for fostering collective excellence and influencing, motivating, and inspiring our intellectual capacities." They include the drive for efficacy, the drive for consciousness (reflection on one's actions and those of others), the drive for flexibility, the drive for craftsmanship, and the drive for interdependence. Effective teachers demonstrate those dispositions. What impact does a growth mindset have on learners? According to Carol Dweck (2006), author of Mindset: The New Psychology of Success, "When students and educators have a growth mindset, they understand that intelligence can be developed. Students focus on improvement instead of worrying about how smart they are. They work hard to learn more and get smarter." Through years of research, she and colleagues have found that "students who learn this mindset show greater motivation in school, better grades, and higher test scores" (Mindset Works website, The Science section para. 1). Dweck is also author of Mindsets and Math/Science Achievement (2008), an article prepared for the Carnegie Corporation of New York-Institute for Advanced Study. She provided evidence that mindsets "can predict math/science achievement over time" and "can contribute to math/science achievement discrepancies for women and minorities." Further, "interventions that change mindsets can boost achievement and reduce achievement discrepancies; and educators play a key role in shaping students’ mindsets" (p. 2). What strategies promote a "growth mindset" in motivating students for math? "Have multiple methods, pathways, and representations. In Mathematical Mindsets: Unleashing Students' Potential through Creative Math, Inspiring Messages and Innovative Teaching , Jo Boaler (2016) elaborates on how educators can teach math better so as to promote a growth mindset. She expands her ideas on "paying attention to the math questions and tasks that students work on, the ways teachers and parents encourage or grade students, the forms of grouping used in classrooms, the ways mistakes are dealt with, the norms developed in classrooms, the math messages we can give to students, and the strategies they learn to approach math" (p. xiii). Class Dojo: Big Ideas has a video series on developing a growth mindset, which was created in collaboration with Carol Dweck. It is meant for young learners. Explore this big idea with animated characters, Mojo and Katie. The Mindset Kit, produced by PERT (Project for Education Research That Scales) at Stanford University is a "free, online resource designed to help educators and parents learn about adaptive academic mindsets, learn practices that promote these mindsets, and download activity ideas" (PERT description). Youcubed at Stanford University promotes a growth mindset with teaching ideas, a searchable database of tasks, and videos (e.g., number talks, brain science, enquiry based learning, etc.). developing a range of instructional and assessment strategies and test preparation methods. Goal 1: Acquire adequate planning and classroom management skills and effective discipline and motivation strategies. What's classroom management all about? Classroom management plays a significant role in effective teaching and ultimate achievement of learners. It occurs at two levels--what can be seen in the classroom during actual contact with learners, and what goes on "behind-the-scenes" outside of the classroom. The latter would typically include planning and follow-up activities that teachers do in connection with classroom management. Per Kratochwill (n.d., Introduction section), "Although there is no agreed-upon definition of classroom management, the framework offered by Evertson and Weinstein (2006) represents a current and widely accepted view. According to Evertson and Weinstein, classroom management has two distinct purposes: “It not only seeks to establish and sustain an orderly environment so students can engage in meaningful academic learning, it also aims to enhance student social and moral growth” (p. 4). It's more than organizing the physical space for student safety and easy access to materials. It's more than deciding how you will manage classroom procedures, instructional groups and student behavior. It means creating a classroom environment of respect and rapport, and a culture for learning (Danielson, 2007, ch. 1). In terms of enhancing a culture of learning, technology can also assist teachers in planning and managing tasks they typically do, including communicating with parents. Teachers can use online calendars and to-do lists and online lesson planning tools. Rather than making multiple copies of class handouts, they can post a single copy to a class website. They can use online grade books and grading tools. Technology enables them to create assessments with a variety of apps, and to provide individualized feedback to electronic documents/assignments submitted by their learners. They can even use technology to manage the noise level in the classroom. How does the classroom environment affect motivation? In such an environment just described, Sullo (2009) indicated that there is no fear factor, which some teachers themselves invoke just by their tone and what they say in reaction to learners' deeds and actions. Sometimes teachers are not even aware of the affect their sarcasm and negativism might have on motivation. In a culture of success, the teacher's message should be "This is important. You can do it. I won't give up on you" (Ch. 2, Getting Started section). Teachers know how to internally motivate learners, rather than relying on external motivators as coercions and rewards/punishments that do not work for the majority of learners. Everyone, regardless of ability, will most likely encounter frustrations and failures at some point in life. Their motivation, learning, and success will be affected by well they are able to respond to such experiences. Saying "you can do this" is important, but how should educators "teach the virtues of grit--tenacity, perseverance, and the ability to never give up" (Hoerr, 2013, Why Grit? section). Thomas Hoerr address this issue in Fostering Grit: How do I prepare my students for the real world?) and provides six steps of teaching for grit. What are components of effective classroom management? Marzano, Marzano, and Pickering (2003) conducted a meta-analysis of 100 reports on this issue, addressing four general components of effective classroom management: rules and procedures, disciplinary interventions, teacher-student relationships, and mental set. This latter refers to an ability to remain emotionally objective and businesslike and "to identify and quickly act on potential behavioral problems" (p. 75). They found "on the average, students in classes where effective management techniques are employed have achievement scores that are 20 percentile points higher than students in classes where effective management techniques are not employed" (p. 10). Build connections daily. This includes such things as personal greetings, asking about students' lives, sharing your own stories. Use consistent procedures and routines. Notice specific positive behaviors. Mention those to the student(s). Use instructional design for success. Pay attention to students' level of readiness and set high expectations. Sometimes delay consequences when dealing with a problem. Develop an empathetic classroom culture. This includes students for each other and from the teacher. Build connections with families. Send home good news, too, not just the bad. Use enforceable statements. These pertain to managing classroom events. In terms of Sornson's tip on offering choices, Bryan Goodwin (2010) reminded educators that while research suggests that students be given choices, the number of choices should be limited. Less experienced students might be offered fewer choices, perhaps just two, while more advanced students might gradually be given from three to five options. When learners have too many choices, they might spend too much time making the choice and be less satisfied in that choice at the expense of completing work with quality. There is also risk that their motivation to do a good job might decrease, if they've spent their mental energy making the choice and then worry if it was the right one. And in terms of setting high expectations for all, Robert Marzano (2010) reminded educators that this is easier said than done. It's the "teachers' behaviors toward students [that] are much more important than their expectations," as students "make inferences on the basis of these behaviors" (pp. 82-83). Students become easily aware of differences, as "teachers tend to make less eye contact, smile less, make less physical contact, and engage in less playful or light dialogue" with low-expectancy students. They also pose fewer and less challenging questions to them, and delve into their answers less deeply and reward them for less vigorous responses" (p. 83). The key to overcome this is for teachers to be aware of their own behaviors: identify students as early as possible for whom they have low expectations, identify their similarities and differential treatment of them, and then set out to change and treat low-expectancy and high-expectancy students the same. Teachers can demonstrate positive behaviors to influence students' perceptions, as those perceptions have a great deal to do with effective instruction. Echoing Sornson (2010), Marzano (2011) stated that developing positive perceptions involves teachers showing interest in students' lives, advocating for students with such actions as the appearance of wanting students to do well and providing assistance to that end, never giving up on students, and acting friendly. "With good relationships in place, all other instructional strategies seem to work better" (p. 82). Diversity plays a significant role in classroom management. Disabilities and cultural differences impact behavioral differences. It important to know the nature of a disability. For example, an autistic child might require consistency in his/her schedule as disruptions in routine might trigger inappropriate behaviors. In responding to students with disabilities, some learners might need individualized plans for behavior management. Ideas might be to develop a behavior progress monitoring form with categories such as "Brought supplies, Worked productively, Was respectful of others" for various time frames (e.g., periods in a school day) or to develop a behavioral contract. In terms of cultural differences, teachers and all learners in a class should be aware of each others' interaction styles. What is acceptable in one culture might not be in another. For example, there are cultural differences in what is acceptable in speaking to others (e.g., one at a time, and loud voice), levels of physical activity and verbal discourse needed with thinking and learning, attitudes about sharing and respecting physical space, authority figures, what constitutes an authority figure and the manner in which deference is shown to authority figures (Voltz, Sims, & Nelson, 2010, pp. 52-55). How do you plan for better classroom management? In terms of planning and classroom management, certainly new teachers would benefit from the wisdom of their more experienced colleagues. They and mentors can serve as resources for initial concerns such as "setting up the classroom and preparing for the first weeks of school, covering the required curriculum without falling behind or losing student interest, grading fairly, dealing with parents, and maintaining personal sanity" (Mandel, 2006, p. 67). Experienced teachers are better able to integrate and draw connections between current, past, and future learning and relate their content to other curricular areas. They tend to be able to better use such classroom management skills as voice, gestures, reading student facial expressions and body language, and proximity. They can see the big picture--in planning they can anticipate problems and a need for alternative plans and adjust their practice accordingly. They also know their students' needs and evaluate their lessons according to students' learning growth--that is they measure effectiveness of a lesson beyond meeting the broad objective of the day. Plus, they are knowledgeable about school and community resources that can benefit students. They understand the culture of the school, and have amassed strategies to effectively engage parents in collaborative activities. They understand how to motivate students and maintain their interest even in the face of temporary failure (NBPTS, 2002). In the classroom, Marzano et al. (2003) said that it is important to involve students in the design of classroom rules and procedures. Although rules will vary, they should be specific and generally address expectations for behavior, beginning and ending the day or period, procedures for transitioning from one activity to the next, interruptions, materials and equipment, group work, seatwork and teacher-led activities (p. 26). Are you assuming students already know your expectations? Do you attempt to control students too much? Do you engage in power struggles? Do you take student behavior personally? Are you foregoing the real-life connection in what you teach? Do you teach only to the whole group? Are you allowing for unstructured time? Have you failed to organize? Have you lowered your expectations? Have you treated students unfairly? Have you sacrificed the parent-teacher alliance? Do you believe in the façade you've created? Have you refused to acknowledge your mistakes? If you answer is yes to any of the above mistakes, it might be time to make changes in your teaching. Assertive Discipline: Positive Behavior Management for Today's Classroom (4th Ed.) by Lee Canter (2010). This award-winning book "outlines a three-step approach for positive behavior management by creating a classroom discipline plan that includes: rules that students must follow at all times; positive support that students will receive consistently for following the rules; and corrective actions that the teacher will use consistently when students choose not to follow the rules" (Description section). Behavior Charts for Home and School from Latitudes.org contains free printable charts for teachers, parents, and students to help improve behaviors, and increase motivation and productivity. For the classroom, teachers will appreciate award certificates, behavior bucks, behavior charts, goal charts, homework charts, reward and incentive charts, reward coupons, stickers and stars charts, weekly and monthly charts, and more. The site also has a section for Classroom Student Behavior Management with additional resources, programs and products, and articles. Latitudes is by the Association for Comprehensive Neurotherapy. Better Classroom Management from Day One is featured in ASCD Express, August 1, 2013, volume 8, issue 22. This issue contains several resources in text and video formats. Classroom Management: A collection of resources for teachers from Scholastic is particularly beneficial for grades preK-8. There are apps for lesson planning and classroom management, and articles with strategies, tips, activities, dealing with behavior problems, classroom setup and organization, class rules--all from fellow teachers and experts. Classroom Management: Teachers Modules by Tom Kratochwill is hosted by the American Psychological Association. Following an introduction, you'll find dos and don'ts, why classroom management works, for whom it works, FAQs, developmental differences, and additional resources. THE Classroom Management Book by Harry Wong and Rosemary Wong (2014) offers 50 procedures that can be used as is or adapted to fit in any classroom management plan at any grade level. The authors define classroom management and how it differs from discipline. You'll find procedures for before and on the first day of school, procedures for students and teachers, procedures for the classroom, for instruction (e.g., discussion, group work, note-taking, reading a text, test taking, for students correcting work, cultivating social skills), for the special needs classroom, and more. Collaborative for Academic, Social, and Emotional Learning (CASEL) features information on this topic and programs based on social and emotional learning: What is SEL?, SEL in action, SEL in policy, SEL research. Curriculum Associates has a free mini-course on classroom discipline strategies, accompanied by audio, which provides tips and strategies that teachers might use in classroom settings. In four lessons you will learn about setting expectations, procedures, rules, and consequences; reasons for and managing disruptive behavior, including how to avoid power struggles with students; how to document incidences of misbehavior objectively; and strategies for positive parent conferences on discipline issues and follow-up. There is also a free mini-course on motivating students to learn. Edmodo is a classroom management app with social media features. Teachers can use digital gradebook features, post assignments and quizzes, poll students, assign homework, manage progress, create groups, use folders to store class materials, post classroom announcements, send messages, and more. Its free for teachers and students and is available online and for Android, iOS, and Windows. Inclusive Teaching Strategies from the Center for Research on Learning and Teaching at the University of Michigan. Learn NC from the University of North Carolina School of Education includes best practices on classroom management for professional development. Resources range from designing your classroom to getting organized to building a classroom culture via effective day-to-day management. The National Education Association has a series of articles among its tools on classroom management. simSchool is a simulation program for educators. You can experience the potential of digital games-based learning as you practice your teaching skills. You'll get immediate feedback on how your selected strategies affect student learning. Plus, as in a real classroom, the simStudents will react to user-selected task design, as well as your teacher moves. The Teacher's Guide has a wealth of information on classroom management with strategies, lessons, videos, discussion groups, books, and printouts. TeachLivE provides an opportunity for pre-service and in-service educators to develop and hone their instruction and management skills using the safe environment of a virtual middle-school classroom, complete with props, whiteboards, and students. Learn more about selecting teacher resource apps. "Teacher resource apps are designed to assist teachers in completing common tasks (e.g., taking attendance, communicating with parents, monitoring student learning and behavior, etc.)" (Cherner, Lee, Fegely, Santaniello, 2016, p. 117). The market is flooded with such apps that teachers can use to manage their classrooms and tasks. Quality varies, however, and selecting one based on a star-rating system might not be sufficient. So, how do you select one? Cherner and his colleagues developed their Evaluation Rubric for Teacher Resource Apps (see Appendix A) to help teachers assess strengths and weaknesses of resource apps they might wish to use. As discussed in their 2016 publication, the dimensions fall within three domains: Efficiency, Functionality, and Design. "Six dimensions are used to evaluate an app’s efficiency that include (A1) Productivity, (A2) Frequency, (A3) Guidance, (A4) Relevance, (A5) Credibility, and (A6) Differentiation" (p. 121). "To measure an app’s functionality, the following dimensions are used: (B1) Multipurpose, (B2) Collaboration & Communication, (B3) Ability to Save Progress, (B4) Modifications, (B5) Platform Integration, and (B6) Security" (p. 123). The dimensions to evaluate the design of the app "include (C1) Navigation, (C2) Ease of Use, (C3) Customization, (C4) Aesthetics, (C5) Screen Design, (C6) Information Presentation, (C7) Media Integration, and (C8) Free of Distractors" (p. 125). Goal 2: Know and apply standards, benchmarks, and curriculum frameworks. All teachers must include goals to become familiar with teacher standards, subject matter standards and benchmark indicators at the state and national levels. CT4ME provides this information in our section on Standards. Common Core Math Standards are at the forefront, as many states have adopted them. These frameworks specify standards that students should achieve, but do not specify the curriculum and teaching methods to be used. For this, teachers need to examine the district curriculum for how their schools and teachers aligned standards with content to be taught. They need to examine scope and sequence, instructional materials, implementation strategies, and any suggested pedagogical methods. The Dana Center and CASEL (2016) elaborated on the SEL connections to the other mathematical practice standards. Think of those SEL competencies as you examine the following on How to Help Students Meet the Common Core Standards for Mathematics. The eight mathematical practices are circled. PBS LearningMedia has a collection of videos on Perseverance in Mathematics to illustrate teaching strategies in the classroom. There are also support materials with a background essay and articles on this topic in a section called "Connections." The Spencer Foundation's project on Mathematics Instruction for Perseverance includes multiple articles on this topic and relates well to the Common Core Mathematical Practice standard on this theme. Per the project background, the collected papers of 2015 presents foundational knowledge and represents "a range of approaches to understanding perseverance—some of the papers focus closely on specific case studies to offer guidance for everyday practice, while others draw on a vast academic literature to explain the complex psychology behind perseverance" (para. 5). Goal 3: Develop a range of instructional and assessment methods and test preparation methods. Linda Gojak (2012), former NCTM President, noted that "Over the last three decades a variety of instructional strategies have been introduced with a goal of increasing student achievement in mathematics. Such strategies include individualized instruction, cooperative learning, direct instruction, inquiry, scaffolding, computer-assisted instruction, and problem solving" with the flipped classroom being a recent addition to the list (para. 1). Blended learning is also on the rise, which adds online learning to traditional classrooms. Thus, another goal for teachers is to investigate instructional and assessment methods and how they might be incorporated appropriately into lesson plans. Support productive struggle in learning mathematics. All teachers should consider the role of active or constructivist learning, as opposed to using only a lecture method. Active student involvement reinforces learning. This is not to minimize the role of direct instruction, however. Per Robert Coe, Cesare Aloisi, Steve Higgins, and Lee Elliot Major (2014, "...if you want students to remember something you have to get them to think about it. This might be achieved by being ‘active’ or ‘passive’ " (p. 24). Students should become active in the learning process immediately upon entering the classroom. Muschla, Muschla, and Muschla-Berry (2013) stated: "Classes in which students begin working from the minute they take their seats are usually more successful than those in which the first few minutes are lost as the students get settled" (p. 3). Losing just the first five minutes daily amounts to 25 lost minutes per week of instruction and could amount to a loss of 20 class periods of instruction per school year. Their solution is using a math-starter problem that students begin immediately upon entering the classroom. In Math Starters: 5- to 10-Minute Activities Aligned with the Common Core Math Standards, Grades 6-12 , they present at least one problem for each Common Core math standard for grades 6-12. Each is designed to be completed in 5-10 minutes, which includes reviewing the answer and any follow-up discussion. This strategy is also good for classroom management, as during this time the teacher can take attendance, pass back papers, interact individually with students, and observe students as they work (p. 3). The IRIS Center at Vanderbilt University provides details on three evidence-based strategies for teaching mathematics: explicit or direct instruction lesson, peer tutoring, and cooperative learning. John Malouff (n.d.) grouped and explained over 50 problem-solving strategies, many of which can be applied to mathematics problem solving. Strategies can help understand the problem, simplify the task, determine the cause of a problem, involve external aids to help identify problem solutions, use logic to help identify possible solutions. Strategies can also identify a possible solution to serve as a starting point to solve a problem, or determine which possible solution is best. Strategies can employ geometric thinking, help you to function optimally while problem solving, and help solve multiple problems. George Polya's Problem-Solving Techniques contain details of his four principles that have become a classic for math problem-solving: understand the problem, devise a plan, carry out the plan, and look back. Thus, formative assessment plays a major role, and its importance should not be overlooked in our zeal to prepare students for mandated accountability tests. See Part 2 of this essay for more on the role of assessment. Test preparation is a reality and Curriculum Associates, Inc., has a free-mini course on test preparation strategies to introduce you to some of the research behind test preparation and factors that affect test performance. Specific strategies for math and other content areas are included. CT4ME has an entire section devoted to standardized test preparation. Learn more about math pedagogy from math educators around the world. Mathagogy includes several two-minute videos from math educators around the world who are sharing how they approach teaching various topics. For example, teachers have uploaded how they introduce sine and cosine graphs, teach inquiry, algebraic literacy, prime numbers, proportions, probability, proof, and how they teach using Cuisenaire rods or using one question lessons. The following delves into theory and research; learning styles, multiple intelligences and thinking styles; and differentiated instruction and the educator's ideology. Every teacher should have some knowledge on how people learn and be able to connect research to what they do in the classroom. For example, how people learn is influenced by culture, including observations and interactions with individuals and experts, the culture of the school and classroom, and that of the individual student. Context plays a role, as do social interactions, physical exercise, sleep, nutrition, mental models, and motivation (National Academies of Sciences, Engineering, and Medicine, 2018). In the Science of Learning, the Deans for Impact (2015) provide a valuable summary of cognitive science research on how learning takes place. In it you'll find cognitive principles and practical implications for the classroom related to six key questions on how students understand new ideas, learn and retain new information, and solve problems; how learning transfers to new situations; what motivates students to learn; and common misconceptions about how students think and learn (About section). Likewise, the Centre for Education Statistics and Evaluation (2017) in New South Wales, Australia elaborates on research that teachers really need to understand about cognitive load theory: what it is, how the human brain learns, the evidence base for the theory, and implications for teaching. For example, when teaching, you'll learn about the effect of using worked examples with novices and learners who gain expertise, the effect of redundancy (unnecessary information might actually lead to instructional failure), the negative effect of split-attention (processing multiple separate sources of information simultaneously in order to understand the material), and the benefit of using supporting visual and auditory modalities. In Improving Mathematics Instruction, James Stigler and James Hiebert (2004) indicated that teachers need theories, empirical research, and alternative images of what implementation of problem solving strategies looks like. U.S. teachers need assistance with making connections problems. As they might never have seen what it looks like to implement such problems effectively, they tend to turn making connections problems into procedural exercises. There is much to be learned about improving instruction by examining initiatives within the U.S. that provide educators with the best-practice examples they might need. Inside Mathematics, which grew out of the Noyce Foundation's Silicon Valley Mathematics Initiative, is exemplary as a professional resource for educators passionate about improving students' mathematics learning and performance. This site features tools for educators, problems of the month, classroom videos, Common Core resources, and performance assessment tasks. The Ohio Department of Education developed a Correlation of Inside Mathematics Tasks to CCSS (Common Core State Standards) as of June 2010. Teachers can also improve instruction by examining what takes place in other countries. For example, the Trends in International Mathematics and Science (TIMSS) 1999 video study examined an alternative methodology that holds promise to improve math instruction in the U.S. Details and videos are available at http://www.timssvideo.com/. Japanese Lesson Study is growing in the U.S. as a result of the TIMSS study (O'Shea, 2005). The process involves teachers working together to develop, observe, analyze, and revise lessons and focuses on preparing students to think better mathematically through more effective lessons. For more on the work of TIMSS, see http://nces.ed.gov/timss/ and http://timss.bc.edu/. Effective lessons incorporate best-practice. According to Daniels and Bizar (1998, as cited in Wilcox & Wojnar, 2000), there are six methods that matter in a " best practice classroom." These are integrative units, small group activities, representing to learn through multiple ways of investigating, remembering, and applying information; a classroom workshop teacher-apprentice approach, authentic experiences, and reflective assessment. Further, Mike Schmoker (2006) stated that "the most well-established elements of good instruction [include]: being clear and explicit about what is to be learned and assessed; using assessments to evaluate a lesson's effectiveness and making constructive adjustments on the basis of results; conducting a check for understanding at certain points in a lesson; having kids read for higher-order purposes and write regularly; and clearly explicating and carefully teaching the criteria by which student work will be scored or evaluated" (p. 25). In mathematics classrooms, teachers might tend to ignore writing about the discipline; however, to develop complex knowledge, "students need opportunities to read, reason, investigate, speak, and write about the overarching concepts within that discipline" (McConachie et al., 2006, p. 8). Are you new to teaching? Consider these four tips to help improve your math instruction. Ask students “why at least once every day. Why did that strategy work? Why does that strategy make sense? Why would this work for all numbers? Instead of looking only for whether a student’s answer was right or wrong, focus on what was right in the student’s work. Then build on what the student did understand in your next discussion and next task. Use your textbook as a tool. Find meaningful tasks in the materials — or tasks that could be meaningful and accessible for students with small changes in numbers or contexts. Many students experience math anxiety. Much of this stems from a one style fits all approach to teaching. Traditionally, approaches to teaching mathematics have focused on linguistic and logical teaching methods, with a limited range of teaching strategies. Some students learn best, however, when surrounded by movement and sound, others need to work with their peers, some need demonstrations and applications that show connections of mathematics to other areas (e.g., music, sports, architecture, art), and others prefer to work alone, silently, while reading from a text. All of this is reflected in Howard Gardner's Theory of Multiple Intelligences, which has found its way into schools (Moran, Kornhaber, & Gardner, 2006; Smith, 2002), along with the concept of learning styles. Moran et al. (2006) indicated that multiple intelligences theory proposes viewing intelligence in terms of nine cognitive capacities, rather than a single general intelligence. Thus, a profile consists of strengths and weaknesses among "linguistic, logical-mathematical, musical, spatial, bodily-kinesthetic, naturalistic, interpersonal, intrapersonal, and (at least provisionally) existential" (p. 23). Overall, the theory has been misunderstood in application. Multiple intelligences (MI) and learning styles (LS) are not interchangeable terms. According to Barbara Prashnig (2005), "LS can be defined as the way human beings prefer to concentrate on, store, and remember new and/or difficult information. MI is a theoretical framework for defining/understanding/assessing/developing people's different intelligence factors" (p. 8). Consider LS as "explaining information 'INPUT' capabilities" and MI "more at the 'OUTPUT' function of information intake, knowledge, skills, and 'talent'--mathematical, musical, linguistic" and so on (p. 9). Indeed, Howard Gardner has stated that multiple intelligences are not learning styles. In Gardner's view, a style or learning style "is a hypothesis of how an individual approaches the range of materials." There are two basic problems. First, "the notion of 'learning styles' is itself not coherent. Those who use this term do not define the criteria for a style, nor where styles come from, how they are recognized/assessed/exploited." Second, "When researchers have tried to identify learning styles, teach consistently with those styles, and examine outcomes, there is not persuasive evidence that the learning style analysis produces more effective outcomes than a 'one size fits all approach.' " Labeling a style (e.g., visual or auditory learner) might actually be unhelpful or inconceived. Putting a label on it does not mean the "style" fits all learning scenarios (Gardner, in Strauss, 2013). The Dunn and Dunn Model includes "environmental, emotional, sociological, physiological, and cognitive processing preferences" (International Learning Styles Network, About Us section). David Kolb's Learning Styles Inventory categorizes in four dimensions (converger, diverger, assimilator, or accommodator) based on the degrees to which one possesses "concrete experience abilities, reflective observation abilities, abstract conceptualization abilities and active experimentation abilities" (Smith, 2001, David Kolb on Learning Styles section). Note: David Kolb's website: Experienced Based Learning Systems, Inc includes his inventory and more information on learning styles. VARK (Visual, Aural, Read/write, and Kinesthetic) is only part of a learning style, according to developer Neil Fleming who states "VARK is about one preference -our preference for taking in, and putting out information in a learning context"; "VARK is structured specifically to improve learning and teaching." The VARK questionnaire (just 16 short questions) is available online. The Index of Learning Styles is a 44-question on-line instrument with automatic scoring on the Web that was developed by Richard Felder and Barbara Soloman of North Carolina State University. This model assesses learning preferences on four dimensions (active/reflective, sensing/intuitive, visual/verbal, and sequential/global). As an alternative to determining learning styles, a personal Thinking Styles Inventory and The Multiple Intelligence Inventory based on Gardner's work will also benefit teaching and learning. Students with learning disabilities or attention-deficit-disorder can find practical tips on how to make your learning style work for you at LdPride.net, which also contains more information on multiple intelligences. With so many inventories available, teachers might wonder how their teaching can accommodate so many styles. Li-fang Zhang and Robert Sternberg (2005) indicated, however, that teachers need only to attend to "five basic dimensions of preferences underlying intellectual styles: high degrees of structure versus low degrees of structure, cognitive simplicity versus cognitive complexity, conformity versus nonconformity, authority versus autonomy, and group versus individual. Furthermore, [they] believe that good teaching treats the two polar terms of each dimension as the two ends of a continuum and provides a balanced amount of challenge and support along each dimension" (p. 43). Caution: Readers should also be aware that although determining learning styles might have great appeal, "The bottom line is that there is no consistent evidence that matching instruction to students' learning styles improves concentration, memory, self-confidence, grades, or reduces anxiety," according to Dembo and Howard (2007, p. 106). Rather, Dembo and Howard indicated, "The best practices approach to instruction can help students become more successful learners" (p. 107). Such instruction incorporates "Educational research [that] supports the teaching of learning strategies...; systematically designed instruction that contains scaffolding features...; and tailoring instruction for different levels of prior knowledge" (p. 107). Cognitive scientists Pashler, McDaniel, Rohrer, and Bjork (2009) supported this position and stated, "Although the literature on learning styles is enormous, very few studies have even used an experimental methodology capable of testing the validity of learning styles applied to education. Moreover, of those that did use an appropriate method, several found results that flatly contradict the popular meshing hypothesis" (p. 105). They concluded "at present, there is no adequate evidence base to justify incorporating learning-styles assessments into general educational practice" (p. 105) and "widespread use of learning-style measures in educational settings is unwise and a wasteful use of limited resources. ... If classification of students' learning styles has practical utility, it remains to be demonstrated" (p. 117). This position is further confirmed by Willingham, Hughes, and Dobolyi (2015) who concluded in their scientific investigation into the status of learning theories: "Learning styles theories have not panned out, and it is our responsibility to ensure that students know that" (p. 269). Individualize your teaching as much as possible. Instead of “one size fits all,” learn as much as you can about each student, and teach each person in ways that they find comfortable and learn effectively. Of course this is easier to accomplish with smaller classes. But ‘apps’ make it possible to individualize for everyone. Pluralize your teaching. Teach important materials in several ways, not just one (e.g. through stories, works of art, diagrams, role play). In this way you can reach students who learn in different ways. Also, by presenting materials in various ways, you convey what it means to understand something well. If you can only teach in one way, your own understanding is likely to be thin. Visit Howard Gardner's website to learn more about him, his theory, and publications: http://howardgardner.com/biography/ Visit the MI Oasis: his Official Authoritative Site of Multiple IntelligenceS. 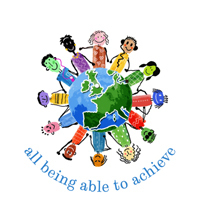 Multiple Intelligences Institute: http://www.multipleintelligences.org/ is committed to understanding and application of this theory in educational settings from pre-school through adult education. Walter McKenzie's Surfaquarium: http://surfaquarium.com/MI/ has content devoted to Multiple Intelligences in Education (e.g., an overview of MI, media and software selection, MI and instruction, templates, etc.). Video and audio clips support multiple intelligences and varied learning preferences and disabilities. HOT: SchoolTube contains numerous videos on mathematics in their category of Academics and Education, which would help learners review concepts presented in class and in some cases offer a different instruction perspective. "SchoolTube provides students and educators a safe, world class, and FREE media sharing website that is nationally endorsed by premier education associations." HOT: Teacher Tube provides "an online community for sharing instructional videos. ... It is a site to provide anytime, anywhere professional development with teachers teaching teachers. As well, it is a site where teachers can post videos designed for students to view in order to learn a concept or skill." For additional video resources at this site, see Math Resources: Integrating Podcasts, Vodcasts and Whiteboards into Teaching and Learning. What do teachers say about using video in instruction? Acquiring this expertise will require that educators play greater attention to differentiated instruction. "Differentiated instruction is a process to approach teaching and learning for students of differing abilities in the same class. The intent of differentiating instruction is to maximize each student’s growth and individual success by meeting each student where he or she is, and assisting in the learning process." Educators who differentiate instruction strive to "recognize students varying background knowledge, readiness, language, preferences in learning, interests; and to react responsively" (Hall, Strangman, & Meyer, 2003, Definition section). As promoters of differentiated instruction, Carol Ann Tomlinson and Jay McTighe (2006) indicated that it is primarily an instructional design model that focuses on "whom we teach, where we teach, and how we teach" (p. 3). Tomlinson's website, DifferentiationCentral, will enhance your knowledge of differentiated instruction. She also clarifies myths and misconceptions about differentiation in an ASCD podcast, How to Differentiate Academically Diverse Classrooms. A second challenge for success lies in the teacher's ideological perspective, as this latter affects how one teaches. According to David Ferrero (2006), educators are divided by traditionalism and innovation. However, teaching that leads to achievement gains (e.g., via standardized testing) does not mean that educators have to choose between one or the other. There is a concept of "innovative traditionalism" that is student-centered, yet has been shown to improve standardized achievement test scores. This has been accomplished in two Chicago-area high schools by "a combination of test prep, classical content, and collaboratively developed thematic projects grounded in controversy and designed to cultivate student voice and civic engagement" (p. 11). The following table (Ferrero, 2006, p. 11) illustrates the essential differences in education's ideological divide, which can be bridged. Source: Ferrero, D. (2006). Having it all. Educational Leadership, 63(8), 11. "Differentiating instruction means creating multiple paths so that students of different abilities, interest or learning needs experience equally appropriate ways to absorb, use, develop and present concepts as a part of the daily learning process. It allows students to take greater responsibility and ownership for their own learning, and provides opportunities for peer teaching and cooperative learning" (para. 2). Theroux (2004) addressed four ways to differentiate instruction: content (requires pre-testing to determine the depth and complexity of the knowledge base that learners will explore), process (leads to a variety of activities and strategies to help students gain knowledge), product (complexity varies in ways for assessing learning), and manipulating the environment or accommodating learning styles. Fairness is a key concept to emphasize with learners, who will recognize that not everyone will work on the same thing at the same time. They need to appreciate that not everyone has the same needs. Likewise, Hall, Strangman, and Meyer (2003) presented a graphic organizer within their work, which they called the Learning Cycle and Decision Factors Used in Planning and Implementing Differentiated Instruction and also provided a number of links to learn more about this topic. ASCD has multiple resources on differentiated instruction. 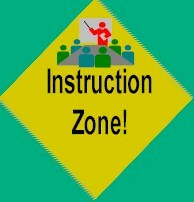 Curriculum Associates, Inc. also has a free mini-course on differentiated instruction. Text is accompanied by audio. Handouts, supplementary readings, and short video clips of teachers explaining the use of a particular strategy in their classrooms are included. A broadband connection is recommended. The four lessons address principles of differentiated instruction, the role of formal and informal assessment in identifying student needs, strategies used in differentiated instruction, and guidelines for managing a differentiated classroom. Learn more about the history of differentiated instruction. The concept of differentiated instruction is not new. Historically it has been discussed in other terms related to addressing individual differences in instruction. Read the ASCD Express My Back Pages: A Brief History of Differentiated Instruction (1953). ASCD devoted its entire December 1953 issue of Educational Leadership to the theme "The Challenge of Individual Difference," which is available online. In the lead article, Adjusting the Program to the Child, Carleton Washburne presented a short history of reform efforts aimed at making education more individualized. What a find. Self-Expressive style--tend to visualize and create images and pursue multiple strategies. Students can work in all four styles, but tend to develop strengths in one or two of the styles. Each of these styles tends toward one of four dimensions of mathematical learning: computation, explanation, application, or problem solving. "If teachers incorporate all four styles into a math unit, they will build in computation skills (Mastery), explanations and proofs (Understanding), collaboration and real-world application (Interpersonal), and nonroutine problem solving (Self-Expressive)" (p. 74). From an instructional styles perspective, Silver, Strong, and Perini (2007) noted that teachers who use mastery strategies focus on increasing students' abilities to remember and summarize. "They motivate by providing a clear sequence, speedy feedback, and a strong sense of expanding competence and measurable success." When focusing on interpersonal strategies, teachers use "teams, partnerships, and coaching" to help students better relate to the curriculum and each other. Understanding strategies help students to reason and use evidence and logic. Teachers "motivate by arousing curiosity using mysteries, problems, clues, and opportunities to analyze and debate." Self-expressive strategies highlight students' imagination and creativity. Teachers employ "imagery, metaphor, pattern, and what ifs to motivate students' drive toward individuality and originality." Finally, it's possible to use all four styles at the same time to achieve a balanced approach to learning (Part One: Introduction section, Figure B). The implication for mathematics instruction is that "any sufficiently important mathematics topic requires students to learn the topic in four dimensions: procedurally, conceptually, contextually, and investigatively" (Strong et al., 2004, p. 75). Even taking that approach, we are challenged to help students overcome misconceptions. The importance of addressing these four dimensions was made very clear in a recent query I had from an individual [let's call him Mac] seeking help for a learner in the 5th grade who was struggling to multiply decimal numbers. The learner had incorrectly calculated: 0.032 * 0.16 =0.0512. But why? Apparently the learner was taught an algorithm, but used it incorrectly. Let's examine the problem that arises in understanding if teaching is done only procedurally. In investigating Web resources for Mac on this concept, several sites indicated using the algorithm with instructions to multiply the digits as whole numbers (here 32*16 = 512), then count up the number of decimal places indicated in the problem (here 5) and then to use that number of places in the final answer. If extra zeroes are needed (here 2), place them before the digits in the whole number answer. This kind of wording, which I purposely made less than mathematically precise, is what a 5th grader might typically remember from only an algorithm. Notice that the learner's answer (0.0512) did have five digits (places used incorrectly) and two zeroes preceding 512. The answer should have been 0.00512. Conceptually, the learner might have missed a connection to prior learning on fractions, or the link was not made and reinforced in instruction. Writing the problem in its equivalent fraction form, using knowledge of converting decimals to fractions and vice versa, and decimal notation and place value might eventually have helped the learner to understand the short cut presented in the algorithm. Contextually, understanding the position of the decimal point in the final answer might have been linked to an application problem, such as buying 2.6 yards of fabric at $1.75 per yard as presented at Education Place (see: http://www.eduplace.com/math/mw/background/5/09/te_5_09_multiply_ideas.html). Investigatively, the learner might not have seen visual representations of the concept, such as the rectangle/area model for multiplication presented in the teaching model for multiplying decimals at Education Place (see: http://www.eduplace.com/math/mw/models/overview/5_13_4.html) or at LearnZillion (https://learnzillion.com/lesson_plans/6683-use-an-area-model-to-multiply-decimals-by-decimals). In any case, the query confirmed Strong et al. 's (2004) recommendations and the need for differentiated instructional practices. For a humorous take on the importance of developing conceptual understanding, watch the YouTube Video, Ma and Pa Kettle Math--they prove to you that 25 divided by 5 is 14! Sometimes personal strategies for problem solving work better than algorithms. Students who use them demonstrate conceptual understanding, as the YouTube Video, Algorythm and Personal Strategy, illustrates. The example above noted teaching mathematical procedures using algorithms. Algorithms play an important role in mathematics, as they address step-by-step procedures yielding a single answer. For example, Everyday Mathematics includes algorithms for grades 2-6 and their animations, located in free resources at the publishers site: https://www.everydaymathonline.com/. The difficulty arises, as the above example indicates, if the algorithm is taught without linking it to conceptual, contextual, and investigative understanding. Ball, Ferrini-Mundy, Kilpatrick, Milgram, Schmid, and Schaar (2005) indicated, "Fluent use and understanding ought to be developed concurrently." Algorithms not only play a role in gaining whole number computation fluency, but play a role in such examples as "constructing the bisector of an angle; solving two linear equations in two unknowns; calculating the square root of a number by a succession of dividing and averaging" (Areas of Agreement section). Rotate strategies to appeal to students' dominant learning style and challenge them to work in their less preferred styles. Consider strategies such as using manipulatives, observing demonstrations, sketching out a math situation, reading, having students compare their work with a partner, or solving complex problems in a team. Personalize/individualize learning for struggling students or for those needing an extra challenge. Adjusting questions to accommodate levels in Bloom's Taxonomy. Open questions are framed in such a way that a variety of responses or approaches are possible. Each must allow for correct responses at a variety of levels. For example: Describe the following picture by using a mathematical equation? Turning around a question. Give the answer and ask for the question. For example: 10 is a fraction of a number. What could the fraction and number be? Asking for similarities and differences of two items: numbers, shapes, probabilities, graphs, measurements, and so on. Replacing a number with a blank. For example, in a word problem involving addition to find the answer, students might fill in the blanks in the word problem with their own choices. Creating a sentence: Students can create a sentence using given parameters, such a a given set of words and numbers. Using "soft" words. Soft words add some ambiguity, yet open up the thinking process. For example, rather than asking students to create a triangle with a specific area, students might be asked to create two triangles whose areas are different, but close. "Parallel tasks are sets of tasks, usually two or three, that a designed to meet the needs of students at different developmental levels, but that get the same big idea or are close enough in context that they can be discussed simultaneously" (Small, 2012, p. 10). Variations should enable all struggling students to be successful and proficient students to be challenged. In other words, in a class discussion, all students could participate and answer the same questions about the task, no matter what task the student chose. For example, to develop the big idea of when multiplication would be used to solve a word problem, choice 1 might ask students to create a word problem that could be solved by multiplying two one-digit numbers; choice 2 would ask students to create a word problem that could be solved by multiplying two numbers between 10 and 100. Differentiating math instruction is also accomplished by using math menus, which are options giving learners choices for demonstrating their knowledge. "The options can include problems, investigations, games, and other activities that promote students' understanding, support their reasoning, or provide practice with the content and skills they've been learning" (Burns, 2016, p. 41). Is this instructional approach appropriate for the grade level of students at this time? Can I adapt this strategy so that my lesson incorporates the NCTM Process Standards and encourages students to make sense of the mathematics? Does this lesson build from a rich mathematical task? What questions can I ask students that will encourage them to think more deeply about the mathematics that I want them to understand? How can I encourage rich discussions with and among students as they develop understanding and apply the mathematical ideas in a variety of contexts? Will my instruction help students to reason and make sense of the mathematics in the lesson? In what ways do I anticipate students will represent their thinking about the mathematics? Some might not appreciate the true essence of cooperative learning, a feature employed in differentiating instruction. Learners are responsible for not just their own learning, but the learning of others. Shared learning leads to success for all, as each member of a learning group has a specific role to play in reaching a common goal. Successful groups include positive interdependence--if one fails, the entire group is affected. There is both individual and group accountability; although some work might be completed individually, some must be accomplished by group interactions. Typical cooperative learning strategies include think-pair-share, the three-step interview, the jigsaw, and numbered heads. Techniques might include focused listing to brainstorm or examine concepts and descriptions, structured problem solving, one-minute papers, paired annotations, guided reciprocal peer questioning, and send-a-problem. Form interdependent teams: "An effective cooperative group is not a collection of kids thrown together for a brief activity. It's a team composed of diverse students who care about helping one another learn - and about the success of the team itself." A team might have 4-5 members "composed of a cross section of the class: high and low achievers, boys and girls, students of different ethnicities." To ensure diversity "the teacher should make team assignments." Set group goals: "Too often in cooperative learning, students are put into teams and instructed to "help one another." Helping one another is a good thing, but kids will do a lot more of it if they share a team goal," which is a target, product, or indicator that shows a team has done a good job of getting every member to perform at his or her personal best." Ensure individual accountability: "Individual accountability means that to reach the team goal, all team members must master the targeted content or skills. Team success should depend on the hard work - and therefore the learning - of all members." The goal cannot be achieved by one student alone. This element is often left out, decreasing the potential of the method for learning. It can lead to free-rider students who contribute nothing to the gorup or know-it-all students who dominate and thwart the attempts of others. Teach communication and problem-solving skills: "Setting up structures that promote effective cooperative learning is not enough. Team members need to know how to make good use of the opportunity to work with one another; this means they need to learn about, practice, and refine key interpersonal skills." Such skills involve active listening, explaining ideas and opinions, encouraging teammates, and completing group tasks to meet standards. The IRIS Center at Vanderbilt University provided a short video of cooperative learning in action. Visit Peeragogy.org. Peeragogy is a collection of techniques for collaborative learning and collaborative work. This handbook is a "living-document" created by a world-wide community of editors interested in peer-to-peer learning. The ideas can be applied in classrooms, in research, in business, and more. There is more than one kind of learning. In 1956 Benjamin Bloom identified three domains of learning: cognitive, affective, and psychomotor. The cognitive domain focus on knowledge or mental skills; the affective on the growth of feelings, emotions, attitudes; and the psychomotor on manual or physical skills (Clark, 2013). Within Bloom's Taxonomy of Learning Domains, the cognitive domain contains six levels: knowledge, comprehension, application, analysis, synthesis and evaluation. The taxonomy was later revised in the mid-90's and now has levels of remembering, understanding, applying, analyzing, evaluating, and creating (Clark, 2013; Forehand, 2005). You can learn more on the Revised Bloom's Taxonomy at the Educational Origami web site. Students should work at all levels of the taxonomy. It should not be viewed as a ladder, however, nor as a framework for differentiated instruction (Tomlinson & McTighe, 2006, pp. 119-120). The taxonomy is helpful for breaking down state standards into meaningful components as teachers plan their instruction. Planning for instruction will be elaborated upon in Part 3 of this essay on content and curriculum mapping. Charles White (2007) provided a closer look at how Bloom’s Taxonomy provides levels of understanding to guide teaching and assessing knowledge. Teaching for each level has different instructional strategies and testing techniques. Knowledge: Memorization and recitation fall within the knowledge level. Teachers might rely on a lecture method and assigned readings. They are transmitters of knowledge. Students remain passive and acquire familiarity with the material, take notes, memorize, and study enough so that they can recall information at least long enough to pass tests, which might be multiple choice or true/false. Such tests rely on one-right answer. “Opinions and values are excluded from this type of testing” (p. 162). When writing, students tend to parrot back what the teacher has said. However, the ability to recite information that has been memorized does not mean that students know what they are saying. NOTE: Memorization does not come easy for learners, but some memorization is involved in mathematics. For example, read The Benefits of Memorizing Math Facts by Margaret Groves (2010). She stated, "Quite simply, a lack of fluency in basic math fact recall significantly hinders a child's subsequent progress with problem-solving, algebra and higher-order math concepts. This can have a serious impact on a child's overall self confidence and general academic performance" (para. 1). Get some memorization tips/techniques and learn how to improve your short and long-term memory at Memorization Tips. Comprehension: At a comprehension level, students are able to discuss what they’ve learned in their own words rather than in the teacher’s words, express their feelings, participate in classroom debate, and are thus taking ownership of content and remembering it better. They would be able to explain a graph, a calculation using a formula, or an equation (e.g., linear regression), but not necessarily be able to implement associated tools. At this level, “short- and medium-length answers [in students’ own words] combined with complex multiple-choice formats often serve as the medium of test material” (p. 162). Application: While key words for comprehension are explaining and discussion, application involves doing. Novices lacking understanding might only be able to apply knowledge when given step-by-step instructions that can be used without deviation. However, at this level, students must be able to demonstrate that they can use concepts and theories in problem-solving. They might be given all the information necessary to do calculations or tasks. Memory at this level is enhanced with repetition. Testing includes unstructured problems that might not have been encountered in the text or during a lecture, requiring students to determine a solution method using what they have learned. Novice students might still turn to the teacher for a correct solution. Analysis: At this level, application is taken a step further. Students must be able to take a situation apart, diagnose its pieces, and decide for themselves what tools (e.g., graph, calculation, formula, etc.) to apply to solve the problem at hand. Rather than just understanding and applying individual concepts, students understand the relationship among concepts. Case studies in business, for example, fit this level. The level of difficulty can be controlled for novices to experts by the number of issues presented in the cases requiring analysis. Likewise, this process to control difficulty can be used for any mathematics problem-solving scenario based on level of expertise of learners. For example, at elementary levels, students are introduced to analysis when a few extraneous facts are included in a problem, which are not needed to solve it. At an analysis level, students are able to appreciate that some problems do not have a unique solution and there is more than one way to defend a position or solution method, as in a case study. Synthesis: In contrast to analysis (i.e., taking apart), at the synthesis level students put things back together. Given the pieces, there might be more than one way to do this. In terms of mathematics, students might take the pieces they’ve learned, and put them together to solve problems not yet encountered in the actual classroom setting. Synthesis is involved when creating something new. Advanced students might be asked to create a new theory. Synthesis is tested via major projects, for example, which might be long term involving creativity and application of all that students have learned on a topic. Evaluation: Teachers evaluate student work all the time, particularly exams and homework. The difficulty in evaluation arises when judging multiple perspectives and varied problem-solving approaches, as one must be thoroughly familiar with content. At this level, students might be asked to problem-solve via debate, for example. At the evaluation level, one is able “to judge the work of others at any level of learning with regard to its accuracy, completeness, logic, and contribution” (White, 2007, p. 161). Rubrics help teachers to evaluate work, particularly for that involving application, analysis and synthesis. White (2007) presented a novel way to test levels of understanding. He proposed writing two test questions on a topic, allowing students to choose only one of those to answer. The first is written for the knowledge and comprehension levels (e.g., key verbs: list, describe), and the second is written for the higher critical thinking levels of application, analysis, and synthesis. Points possible would be indicated for each, so that students would recognize that only those answering the second could be awarded maximum points toward an A+ grade. The option to choose enables the less able student to better demonstrate what he does know and perhaps earn a B grade, rather than risk failure because of an inability to demonstrate critical thinking. For either question, students could fail. For more on Bloom's Taxonomy, see Vanderbilt University's Center for Teaching. It's easy for teachers to discuss topics in education and math methodology with colleagues around the world. Microsoft Education enables educators from all over the world to connect, collaborate and find lessons created by educators for educators. Dy/Dan: Dan Meyer's blog has a following of educators who share his interest in using dynamic math and Web 2.0 tools creatively for teaching and learning math. emergent math is a blog that has some great ideas for introducing students to inquiry-based learning. Google+ Mathematics Community is for mathematicians, students, and math enthusiasts. You'll find sections for math research, K-12 math education, history of math, computational and applied math, how to succeed in math competitions, and more. HOT: Participate in the blog at Let's Play Math! This blog is about learning, teaching, and just playing around with K-12 mathematics. HOT: MathNotations is a blog by Dave Marain, a math educator with considerable experience. He said, "Look for fully developed math investigations that are more than one inch deep, math challenges, Problems of the Day and standardized test practice. The emphasis will always be on developing conceptual understanding in mathematics. There will also be dialogue on issues in mathematics education with a focus on standards, assessment, and pedagogy primarily at the 7-12 level through AP Calculus." See other blog options for math educators noted in our technology integration resources. Burns, M. (2016). Using math menus. Educational Leadership, 74(2), 40-44. Danielson, C. (2007). Enhancing professional practice: A framework for teaching (2nd ed.). Alexandria, VA: ASCD. Dembo, M., & Howard, K. (2007). Advice about the use of learning styles: A major myth in education. Journal of College Reading and Learning, 37(2), 101-109. Ferrero, D. (2006). Having it all. Educational Leadership, 63(8), 8-14. Goodwin, B. (2010). Choice is a matter of degree. Educational Leadership, 68(1), 80-81. Hoerr, T. (2013). Fostering grit: How do I prepare my students for the real world? Alexandria, VA: ASCD. Immordino-Yang, M. H. (2016). Emotions, learning, and the Brain: Exploring the educational implications of affective neuroscience. New York: W. W. Norton & Company. Marzano, R. (2010). High expectations for all. Educational Leadership, 68(1), 82-84. Marzano, R. (2011). Relating to students: It's what you do that counts. Educational Leadership, 68(6), 82-83. Marzano, R., Marzano, J., & Pickering, D. (2003). Classroom management that works: Research-based strategies for every teacher. Alexandria, VA: ASCD. McConachie, S., Hall, M., Resnick, L., Ravi, A., Bill, V., Bintz, J., & Taylor, J. (2006). Task, text, and talk: Literacy for all subjects. Educational Leadership, 64(2), 8-14. Moran, S., Kornhaber, M., & Gardner, H. (2006). Orchestrating multiple intelligences. Educational Leadership, 64(1), 23-27. Muschla, J., Muschla, G., & Muschla-Berry, E. (2013). Math starters: 5- to 10-minute activities aligned with the Common Core math standards, grades 6-12 (2nd Ed.). San Francisco, CA: Jossey-Bass. Schmoker, M. (2006). Results now. Alexandria, VA: ASCD. Shea, M. (2005). From standards to success. Alexandria, VA: ASCD. Slavin, R. (2014). Making cooperative learning powerful. Educational Leadership, 72(2), 22-26. Small, M. (2012). Good questions: Great ways to differentiate mathematics instruction, 2nd ed. New York: Teachers College Press, and Reston, VA: National Council of Teachers of Mathematics. Smith, M. K. (2001). David Kolb on experiential learning. The Encyclopedia of Informal Education. Retrieved from http://www.infed.org/biblio/b-explrn.htm#learning%20style. Last updated: August 23, 2007. Smith, M. K. (2002). Howard Gardner and multiple intelligences. The Encyclopedia of Informal Education. Retrieved from http://www.infed.org/thinkers/gardner.htm. Last updated: August 23, 2007. Stigler, J. W., & Hiebert, J. (2004). Improving mathematics instruction. Educational Leadership, 61(5), 12-17. Strong, R., Thomas, E., Perini, M., & Silver, H. (2004). Creating a differentiated mathematics classroom. Educational Leadership, 61(5), 73-78. Voltz, D., Sims, M., & Nelson, B. (2010). Connecting teachers, students, and standards: Strategies for success in diverse and inclusive classrooms. Alexandria, VA: ASCD. White, C. (2007, January/February). Levels of understanding: A guide to the teaching and assessment of knowledge. Journal of Education for Business, 82(3), 159-163. Zhang, L., & Sternberg, R. (2005, March). A threefold model of intellectual styles. Educational Psychology Review, 17(1), 1-53.